CM-5460 outdoor IR security camera provides up to 130 feet of infrared illumination from its 48 LEDs. The CM-5460 security camera also employs a PixelPlus 1/3" CMOS sensor to provide 700 lines of resolution along with a 2.8~12mm adjustable IRC filtered lens. 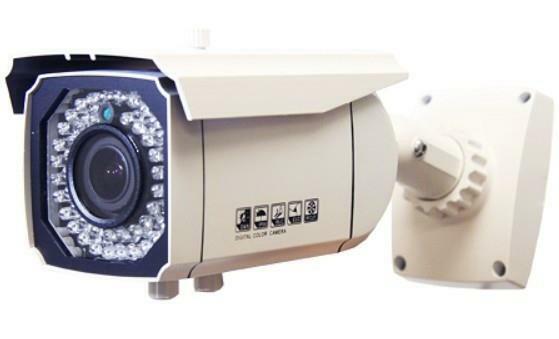 This infrared camera is IP66 rated for indoor and outdoor use. The concealed cable bracket keeps the cable from being cut when mounted flush to a wall. The CM-5460 IR camera provides a full color picture during the day then switches to B/W at night and activates the infrared array to maintain image quality even in completely darkened areas.